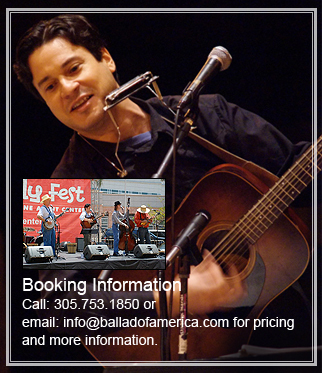 This is the story of the United States of America vividly told through a wealth of traditional folk songs. The early settlers in the New World played and sang a variety of songs from their native homelands as they worked, prayed, and enjoyed leisure activities. By the time of the American Revolution, they were adapting these songs and creating new ones that reflected their ever-changing circumstances and environment. 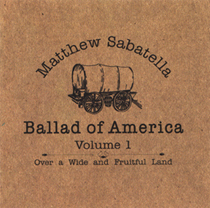 Each CD in the Ballad of America catalog has a different theme. There are currently three volumes available, but many more are planned. 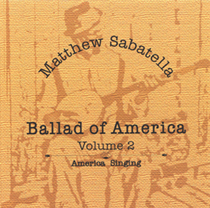 The songs in this collection are among the most commonly sung in the history of the United States. They present uniquely American musical blends, with roots in European and African traditions and branches that have sprouted countless regional and personal variants throughout the country. 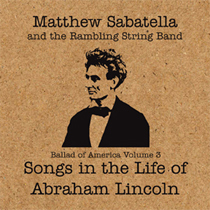 Collectively, these songs of work, fun, and love transcend social and ethnic boundaries, painting a broad picture of America during the 18th and 19th centuries when music making was, for many, an integral part of everyday life. Abraham Lincoln was a man of remarkable determination, compassion, honesty, humor, and melancholy. To explore the music he cherished is to better understand the man himself and the times in which he lived. From a childhood on the American frontier to a presidency that changed the course of history, Lincoln's life unfolds through these Old World, play party, minstrel, campaign, slave, Civil War, and sentimental songs.